Here we go again… Just when you thought it was safe to go back out onto planet pop, along comes Lady Gaga one more time to see if lightning really does strike twice. 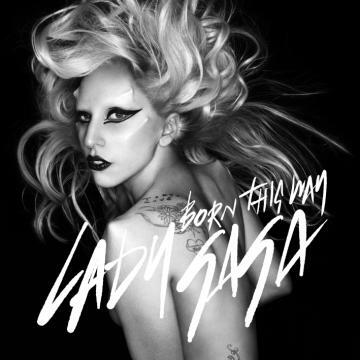 She’s tweeted the cover image to her brand new single ‘Born This Way’, telling her little ‘monsters’ that they can expect to be able to hear and buy the new tune as of this Friday. Presumably that means Saturday for us folk in Australia. Though no official word has come through from her local record company Universal about the Gaga’s new project, rumours suggest we’ll see the album ‘Born This Way’ in the shops in late May. So far it’s simply because (according to them) there’s been nothing come through to them from the overseas label thus far. Radio will lap it up, fans will download it the instant it becomes available. Why is the local record company not pumping energy into this? Premieres on Friday night/Saturday night 1am AEDST if the countdown on her website is 100% accurate. Why does she have horns? and why is the cover so photoshopped when the whole message of the song is to be yourself? further proving what a fake cow Gaga is. Wow that is one epic cover!